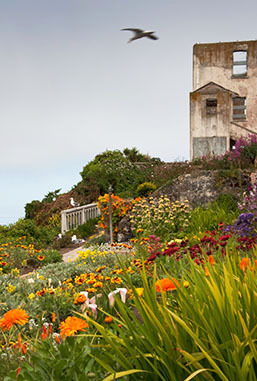 The Association of Partners for Public Lands awarded the Alcatraz Historic Gardens Project a Partnership Project Award in 2010. The project also received two California Preservation Foundation awards in 2009—the Trustees Award for Excellence in Historic Preservation and a Preservation Design Award. This prestigious awards program showcases preservation design excellence and recognizes exemplary work in historic preservation, restoration, rehabilitation, and sustainability.